With a business spanning the entire length and breadth of the country and delivering over 25 million cases of quality products to its discerning consumers, PR was looking to connect with a partner who could put together their online corporate presence in accordance with their global corporate image and group guidelines. Our vision with this project was to build a corporate image that would not cater only to the corporate society, but be a fitting image of a global conglomerate’s presence in India. The primordial challenge that plagued the creation of their digital Indian presence was to unify all the brands constituted within the company under a single umbrella without tampering their own persona. The intended website also needed to be India-centric while retaining the global aesthetic appeal and association. But with a variety of brands, each with their unique personality, association, and distinct flavor, making a web presence that remained neutral in its essence while holding on the brands’ different characteristics was difficult. We addressed this issue, with a radical design that deliberately deviated from the global guidelines that were given to develop the website. 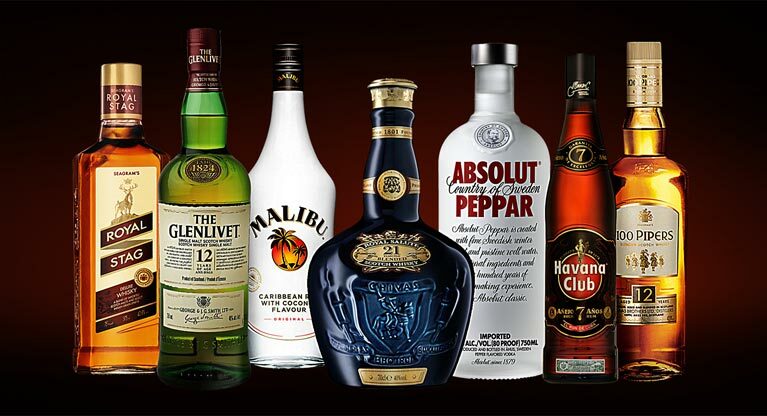 To project the image of Pernod Ricard in the Indian market, it was essential to not be short sighted and keep in mind the changing landscape of their industry and people’s association with the brand online. The corporate website look was designed to be alive and vibrant to accommodate the colorful mix of all its brands and yet at the same time remain slick and professional from a corporate standpoint. The design structure of their corporate website was developed in HTML 5 based on a horizontal parallax design. This design was developed to capture the essence of the multiple brands under Pernod Ricard and display them in an elegant manner. These were intermeshed with live events and social media updates across the horizontal grid available on the home page. 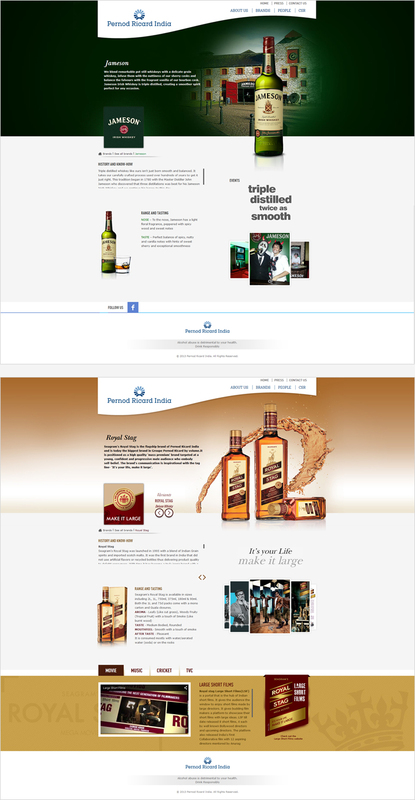 These brands formed the crux and crown of Pernod Ricard, hence, it was quintessential that they were well represented and connected to their respective landing pages and micro sites. 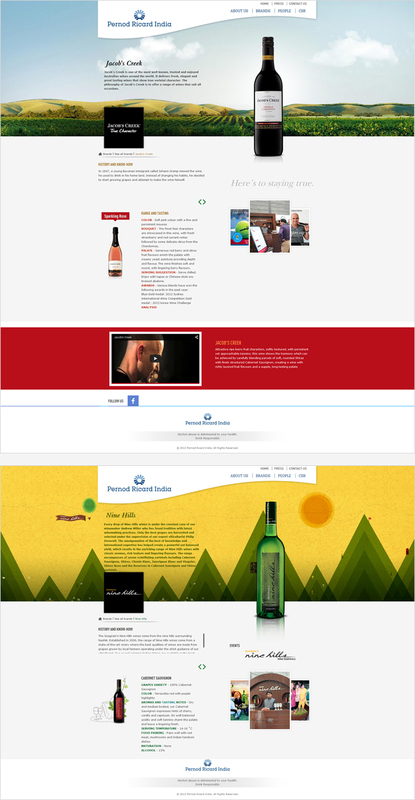 The brands appear in a seamless timeline that a visitor can go through without having to punch in any clicks. 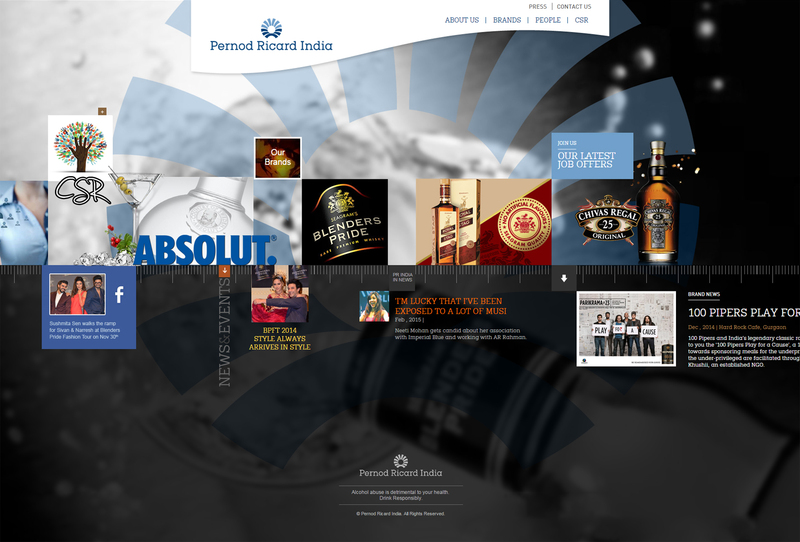 Pernod Ricard India holds one of the most comprehensive portfolios in the industry and for each brand in each segment, there exists a unique brand persona, a unique story waiting to be discovered. In other words, an exclusive brand flavour which has been aptly showcased through respective landing pages with relevant content. 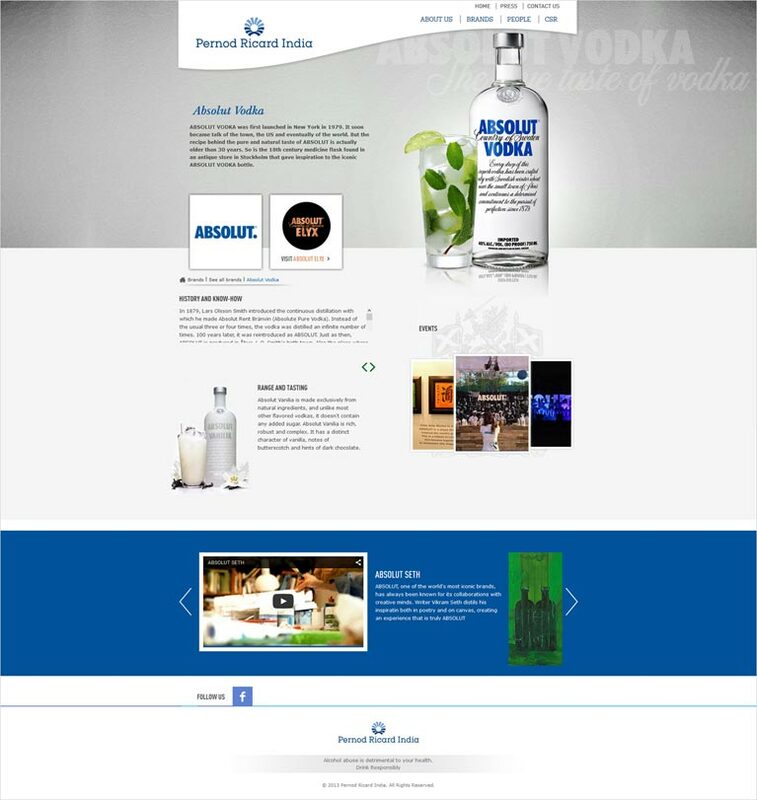 For instance, the global icon, Absolut Vodka represents the flavour of ‘Creativity & Inspiration’ which can be gauged through the content that is available on its respective landing page. Likewise, all the brands that come under PR’s portfolio have been given a similar treatment on the website, wherein, each brand persona is easily identifiable. Along with an appropriate presentation of the brands under PR’s cape, the company had also asked us to develop content for the CSR ventures that they had taken up. 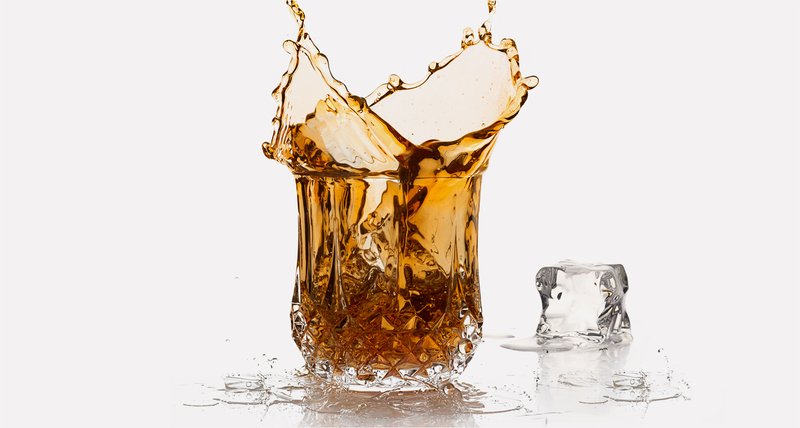 Pernod Ricard, one of the strongest promoters of responsible drinking had activities lined up all year long every year. To incorporate such an extensive and changeable content, a unique grid design was developed. 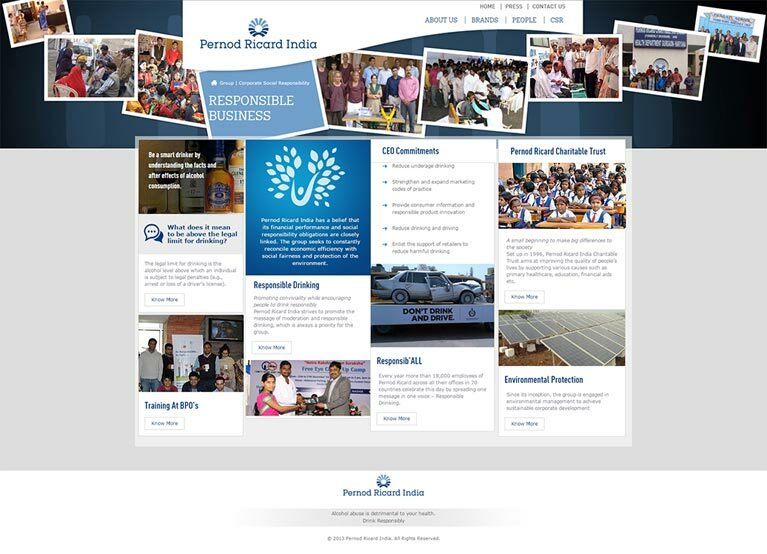 This gave an all-encompassing control to the Pernod Ricard team to control and manage their CSR activity projections online with ease.